Jon Jones vs Daniel Cormier is one of the greatest rivalries in MMA history. Now that Jones is back and the light heavyweight champion once again, it can potentially set up a trilogy bout for the two. ‘Bones’ currently leads the series 1-0 (1 NC). Since Jones vs Cormier 2 at UFC 214 in July 2017, Cormier has gone on to become the UFC heavyweight champion. Thus having made him the double champ as he held both the light heavyweight and heavyweight titles at the same time. That is now no longer the case, obviously, and Jones is now set to defend the 205-pound title against Anthony Smith at UFC 235 in March. After Jones’ recent win over Alexander Gustafsson, Jones said that for a third fight to happen with Cormier, it will have to be at light heavyweight rather than heavyweight. Luke Rockhold, Cormier’s longtime teammate, believes he knows why Jones doesn’t want to try his luck at heavyweight instead. Rockhold recently announced that he’s ‘done’ with his home of 185-pounds and plans to move up a division as well. When it comes to such situations, Rockhold thinks if Jones really wants to prove how great he is, he’ll move up too. 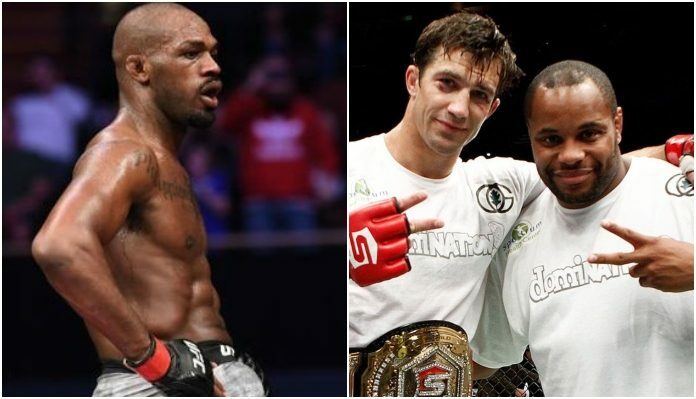 “Jones picked his words wisely on the mic trying to bait DC to come back down and manipulate him back down to light heavyweight,” Rockhold said of Jones’ post-fight interview at UFC 232. “Jones walks around at 240 [pounds], DC – he walks around at 240.